Contact policy-makers and legislators know how you feel on issues important to people with developmental disabilities. Find your representative.  Individual donors of $100 or more each fiscal year may elect annual membership in The Arc San Francisco by registering via phone, fax or email. Membership includes: One vote as articulated in agency bylaws; Representation and a voice at The Arc San Francisco’s regular membership meetings; Member discounts on trainings and conferences; Regular communications regarding policy and advocacy from our state and national affiliates, The Arc California and The Arc. Arc Self-Advocates who make a donation of any size may also elect membership and are entitled to benefits as noted above. Arc Staff may elect to be non-voting members with a donation of $10 or more annually. Membership expires on June 30, is valid for the fiscal year, and must be renewed annually. To elect annual membership in The Arc San Francisco, contact Jacy Cohen, Director of Strategic Partnerships, 415-255-7200 x 151 or download the membership election form. Sign up for important news from The Arc San Francisco.